The name isn't an ironic joke – the hottest air temperature ever reliably recorded pushed the thermometer to 56.7°C in July 10, 1913. That wasn't a one-off fluke, either – Death Valley has average highs of over 45°C in July and August. Geography plays a huge part here. It's surrounded by desert, which keeps it hot, and mountains, which keep it pretty much bone dry. Good chunks of the area are below sea level too – the basin dips 86m below at one point. 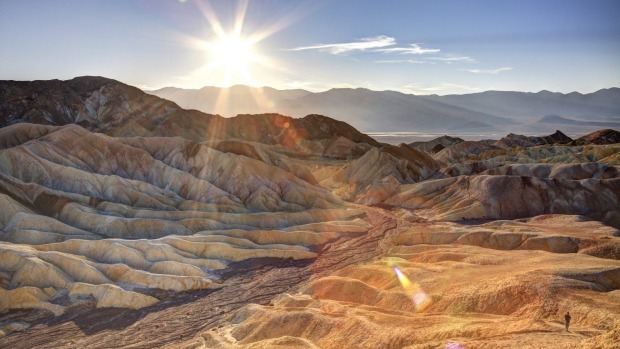 Death Valley isn't quite as remote as other ultrahotspots around the world – much of it is covered by the Death Valley National Park, which pulls in campers and hikers at less insanely hot times of the year. And if you want to stay in Furnace Valley, where that record high temperature was recorded, the Furnace Creek Resort will allow you to test your heat-resistance. Death Valley's competition in the highest temperature stakes is Al-Aziziya, where it hit 57.8°C in 1922. The record went to Death Valley as there were issues over how the Libyan recording equipment was set up. The unremarkable town is about 40km south of the Libyan capital, Tripoli, but you'd be effectively braving a civil war to get there at the moment. Maybe turn the heating up instead? Part of the problem in picking out the world's hottest place is that many of the feasible contenders are far too remote to have weather stations. Basically, some desert hellholes may be hotter, but we've no reliable way of assessing it. It's usually air temperatures that are measured, but the US Geological Survey's Landsat satellites can give a reasonably accurate reading of what the temperature of the land surface is like. 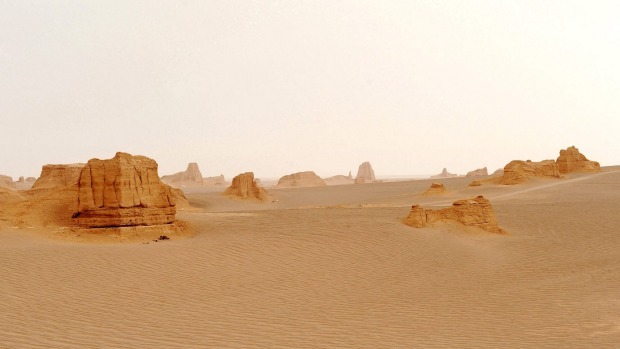 When researchers at the University of Montana analysed the satellite data, they found that the Lut desert in South-Eastern Iran consistently topped the charts – with one recording of 70.7°C on the sands. Best of luck tackling that in bare feet, although Parsagad Tours does offer desert safaris through the region. At least in the likes of Death Valley, there is occasional respite. 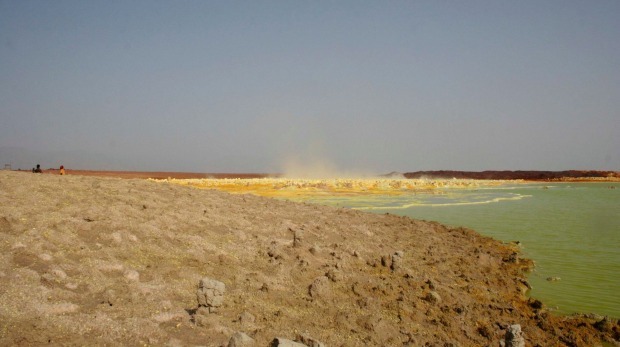 In Northern Ethiopia's Danakil Depression, however, it's a constant roast. 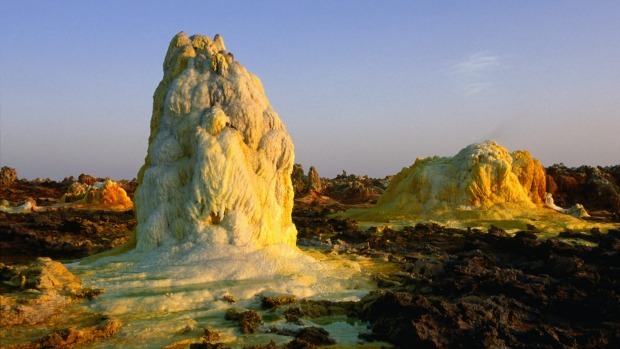 It dips 116m below sea level, and is home to the settlement of Dallol, the hottest inhabited place on earth. It's only reachable by 4WD and essentially a ghost town, but the most recent records (which are admittedly from the 1960s) show an average year-round temperature of 34.4°C. 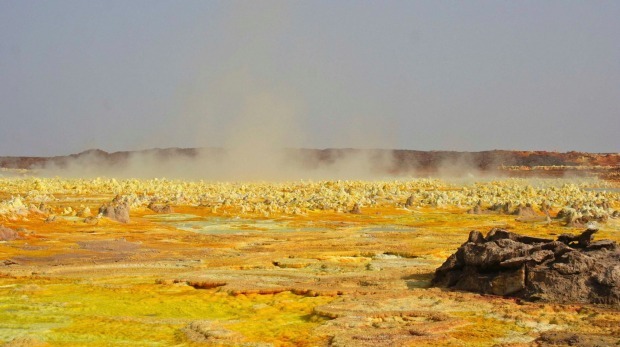 It takes a certain intrepid masochism to get there – but you'll be rewarded with sulphur springs, bizarrely coloured geothermic landscapes, salt lakes and the very active Dabbahu volcano. 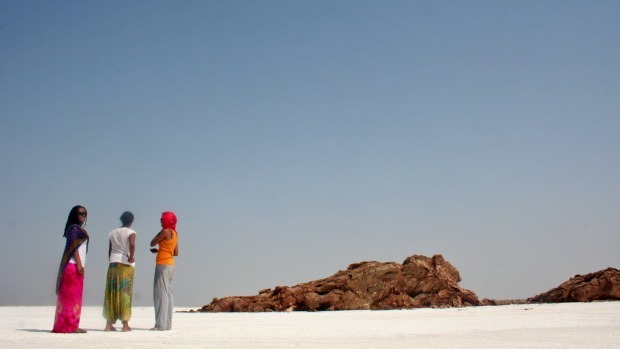 Imagine Ethiopia is amongst the tour operators that will take you there. Most of the world's most furnace-like spots are remote places that, realistically, most travellers aren't going to get anywhere near. But that doesn't mean that some major cities can't be uncomfortably toasty as well. In terms of the hottest recorded temperatures in cities, the likes of Kuwait City and Timbuktu in Mali occasionally nip above the 50°C mark in the summer months. 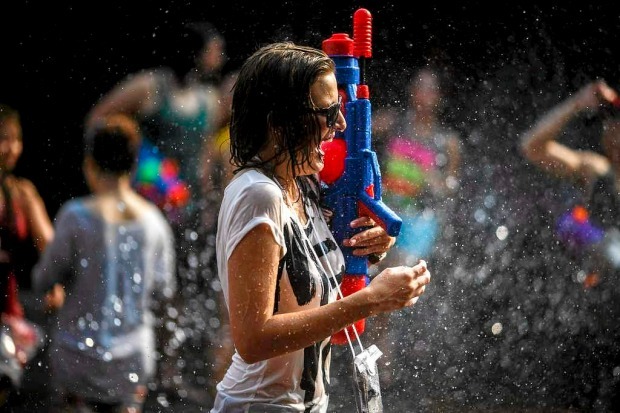 But no city is as reliably sweaty as Bangkok, where the average mean air temperature is 28°C. The Thai capital's notorious smog is a factor in raising the temperature – and it's particularly bad between March and May when averages of 34°C and 90 per cent humidity are common. 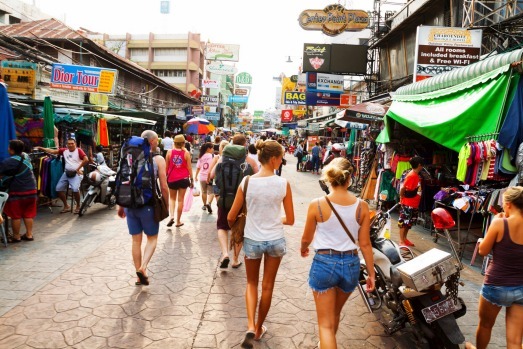 Put simply, Bangkok doesn't ever cool down – and the golden rules of staying there apply whatever time of year you go. Don't try and cram in too much, explore in the evening when you can, and make sure you've got a hotel with a decent pool. 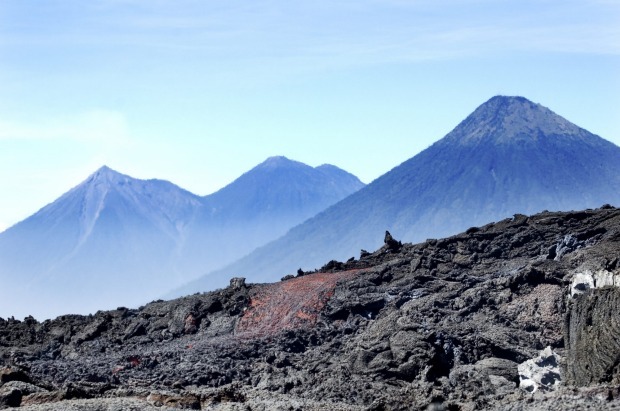 The air temperatures in the Guatemalan highlands may not be as extreme as elsewhere, but step on the wrong parts of the Pacaya volcano and the surface temperature can be much, much hotter. The lava flows that regularly pour down the sides of Pacaya can hit temps that will make any stick you try to prod them with pretty much disappear on the spot. Step on the deep red stuff, and even the sturdiest of hiking boots are going to start smoking. You can get surprisingly close to the gloopy hellfire, though, and Outdoor Excursions runs day trip hiking tours that take guests as near as possible. You even get to sizzle marshmallows over the hot stuff. The earth's dodgy gut doesn't just make for molten rocks firing out of volcanoes – it can also do some rather weird things to the water. On the Caribbean island of Dominica, for example, it can boil a lake. 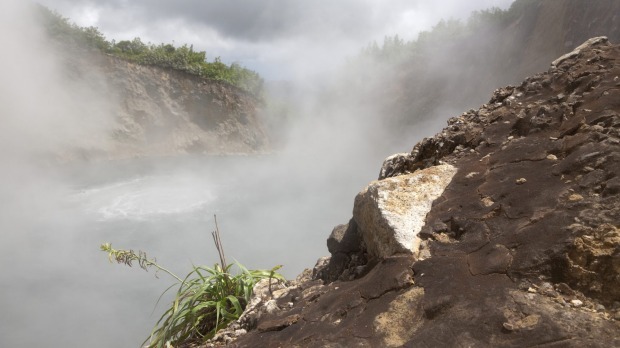 The unimaginatively-named Boiling Lake is reached via a three-hour hike up mountain ridges, through rainforest and across a steam vent-covered valley floor. Any temptations to go for a swim, however, are quickly dispelled when you see the steam rising from the water. No-one's ever managed to measure how hot the lake (technically a flooded fumarole) is in the middle, but the temperatures taken at the edges range from 82°C to 92°C. To get there, negotiate with a local guide to take you from the village of Laudat or go with Ken's Hinterland Adventure Tours. When scientists put their minds to it, deserts, volcanoes and boiling water become minor trivialities. 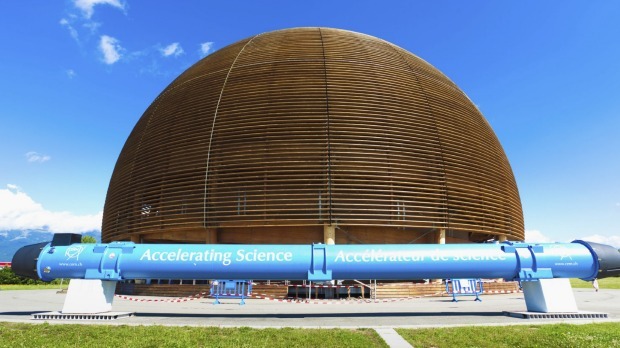 The hottest temperatures are created under lab conditions, and in 2012, the team at the pan-European research base CERN momentarily created a temperature of around 5.5 trillion degrees Celsius. 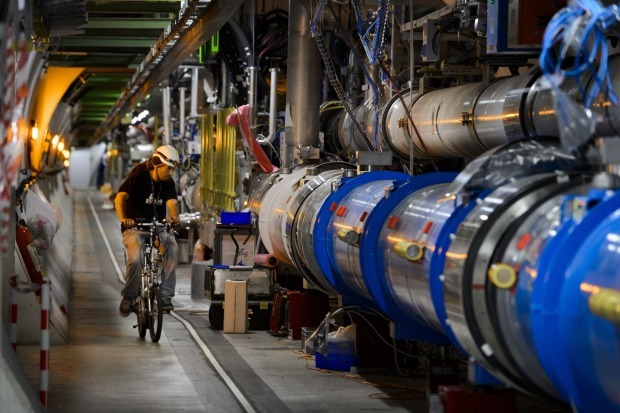 Using the Large Hadron Collider – which is best known for the quest to prove the existence of the Higgs Boson and recreate the conditions of the Big Bang – the scientists managed to create a "quark-gluon plasma". 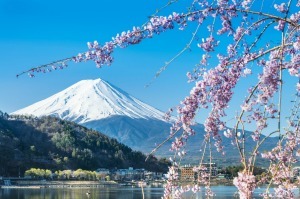 The exact temperature is yet to be confirmed, but it's thought to be considerably higher than the previous man-made best of four trillion degrees. Oddly enough, they don't let tourists show up to handle quark-gluon plasmas. But visitors to the Bond villain lair-esque CERN site can go on guided tours and learn about the facility's ongoing work in the Microcosm exhibition. 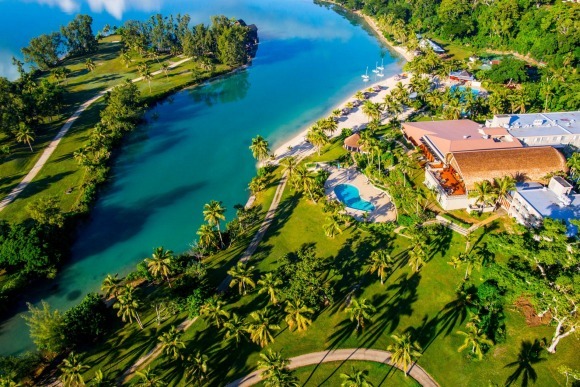 To take a tour of the world's hottest destinations, take a look at the photo gallery at the top of this article.